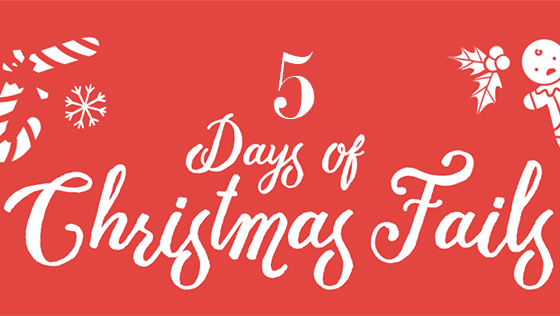 Often we get asked for what content sells or what are we currently looking for at Newsflare. One of our senior journalists in a previous post has touched on viral videos before and how there is no set right or wrong when it comes to user generated video footage. We do have key assignments; videos that our news buyers or TV production companies are looking for and could be a quick win for you to making a sale and can be a great starting point if you are new to shooting video. Today, I thought it would be useful to share with you the top 5 best selling videos of this year to date from the Newsflare platform. 1. In at number 1 is Baby Leopold seeing his mother for the first time. This heart warming story took the media by storm as we witness the first time Baby Leopold can see due to a rare eye condition. This got picked up on a global level and was a tear-jerking moment for many! 2. Dramatic footage taken from a dash cam shows an ice sheet flying on a highway in the US – l won’t tell you the outcome – just keep watching! 3. Footage of hypnotic ice stacking on the edge of Lake Superior on its Western side in Minnesota comes in at number 3. We all love to talk about the weather and it appears that weather related footage does incredibly well – we have a number of assignments available from hot weather (if it any reaches us in the UK!) to the wild, weird and extreme! 4. One of our regular contributors shows us what life is like as he works out at sea. Newsflare member Graham had a recent success with Storm Gertrude and the immense power the waves can have! 5. In at number 5 is one of my all time favourites, because we all have a mate that is terrible at bowling! This recently got picked up and used by KFC in a digital campaign. So upload to Newsflare and your footage really can go widespread! 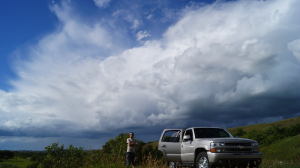 The television series ‘Storm Hunters’ takes you on a journey following storm chaser, Joshua Zorn (Saskatchewanweather.com) and his team, as they track and document the fierce storms of the Canadian prairies. 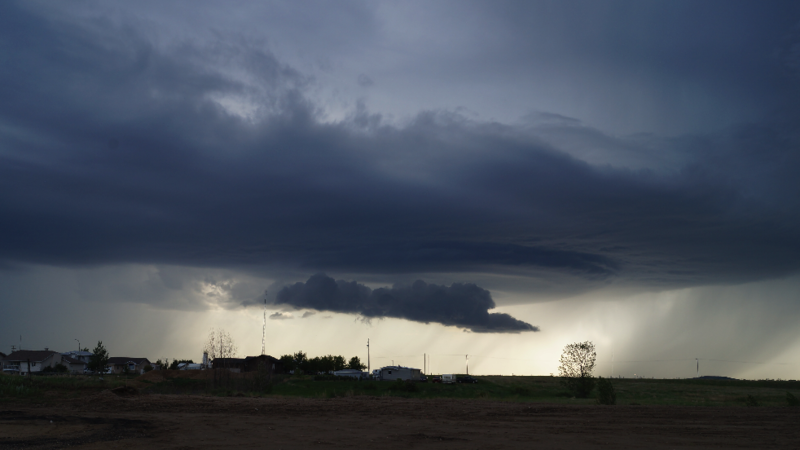 It’s the final chase of the season, and the team pursues one of the most beautiful storms they have seen all year. Hungry for a tornado capture, Josh pushes them right underneath a rotating funnel. They then continue with the same storm and soon discover that the rotating storm is wrapping up right over the top of them. In the season premiere of Storm Hunters, winter does not want to let up it’s grip on the province of Saskatchewan. Itching to document some form of severe weather, Storm Chaser Joshua Zorn and his team deploy to document and endure the intense winter storm conditions, all the time braving life-threatening highway conditions. These storm chasers will chase anything Mother Nature throws their way, from supercells to blizzards! This series is shot completely by the team themselves, with additional angles provided by mounted cameras that give the viewer a front row seat to experience the storms and what goes into capturing them. 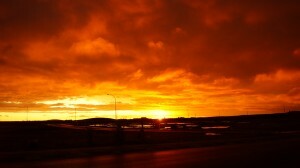 Saskatchewanweather.com recently partnered with Newsflare to license and sell their extreme weather videos. The unimaginable power of Mother Nature comes to life on Corus Entertainment’s CMT Canada web series, Tornado Hunters. 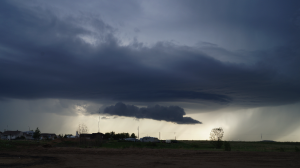 Led by Canada’s very own extreme weather chasers, The Tornado Hunters. 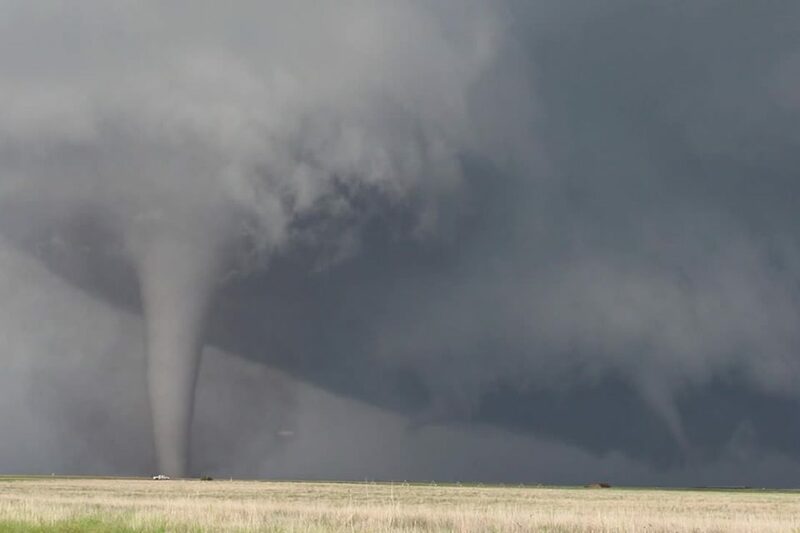 The team tackles the biggest tornadoes in North America and captures one-of-a-kind footage. Greg Johnson, Chris Chittick, and Ricky Forbes are the Tornado Hunters. Outfitted with their Robust Ford truck called ‘Flash’ and the latest high tech equipment, they aren’t afraid to go where many would fear and film the wildest tornadoes. The Tornado Hunter’s adventures take them from Regina to Mexico, as they risk life, limb and a lot of windshields to chase their passion for the world’s worst weather. The Tornado Hunters are recognized as first responders within the news media and have garnered mainstream popularity throughout the world for their real-time weather expertise and stunning footage of the world’s most severe storms. Environment Canada, broadcast meteorologists and audiences globally monitor their newsfeeds and tune into their live web streams regularly to witness the phenomena they are able to capture. Viewers will have a first-hand look at the trials and tribulations that come with living a life of storm hunting. From the weight of worry in their personal relationships to facing 300 mile-per-hour winds, the team provides access to some of their most exclusive footage. Produced by Saloon Media and developed with the participation of the Bell Fund, the five webisodes will be the launching pad for the official broadcast pilot set to air on CMT at a later date. Beginning August 18, www.CMT.ca will host an interactive campaign, prompting fans to provide their input and join the #CMTTornadoHunters conversation with @CMTCanada. Click here for a special preview of this thrilling series, Tornado Hunters, every extreme weather enthusiast should not miss.